“What defines us as an institute? First: a tried and tested industrial engineering course which strikes the right balance between international management and technology. Second: our employees who strive to train the very best industrial engineers. And third: our students who continually show us what they can do”. The Institute of Industrial Management is part of the Department of Management at FH JOANNEUM. The “Triple I” approach – International, Innovation, Industries – is vital for the success of the Department. Research-led teaching (Innovation) and the pooled expertise of four institutes are combined with a comprehensive management concept: tapping potentials in the management of organisations across all sectors (Industries). 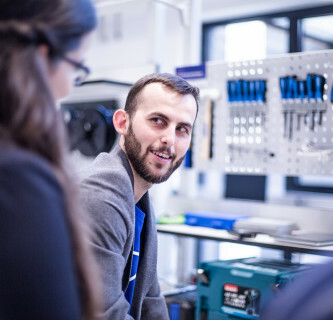 The Institute’s research topics include smart production, service engineering and improving the competitiveness of companies through new digital business models. „Auftragssteuerung in der Produktion“. Industrial Research Project, FH JOANNEUM, 2017. „Auswahl Managementkonzept für Leerwagen bei flexiblen Fördersystemen“. Industrial Research Project, FH JOANNEUM, 2017. „Central Market Intelligence (CEMI) Marktforschung“. Industrial Research Project, FH JOANNEUM, 2017. „Einführung Qualitiy Management in Machine Mobility“. Industrial Research Project, FH JOANNEUM, 2017. „Entwicklung Geschäftsmodell für intelligente Produkte“. Industrial Research Project, FH JOANNEUM, 2017. „Entwicklung Planungsprozess für die Instandhaltung“. Industrial Research Project, FH JOANNEUM, 2017. „Entwicklung SCM Innovation Roadmap“. Industrial Research Project, FH JOANNEUM, 2017. „Entwicklung und Dokumentation Systemlandkarte für IT-Landkarte“. Industrial Research Project, FH JOANNEUM, 2017. „Implementierung Integrated Management System QHSE“. Industrial Research Project, FH JOANNEUM, 2017. „Implementierung Warenwirtschaftssystem“. Industrial Research Project, FH JOANNEUM, 2017. „Intralogistische Prozesse analysieren, optimieren und dokumentieren“. Industrial Research Project, FH JOANNEUM, 2017. „Kooperation Business Intelligence“. Industrial Research Project, FH JOANNEUM, 2017. „Lastenheft - Auswahl und Entwicklung SW-System für Logistik-Plattform“. Industrial Research Project, FH JOANNEUM, 2017. „Lieferantenmanagement“. Industrial Research Project, FH JOANNEUM, 2017. „Machbarkeitsanalyse - Zusammenlegung 2 Geschäfte“. Industrial Research Project, FH JOANNEUM, 2017. „Analyse und Bewertung Mailsystem Kroatien“. Industrial Research Project, FH JOANNEUM, 2016. „Beschreibung Produktionsprozesse“. Industrial Research Project, FH JOANNEUM, 2016. „Betreuung Master Thesis Johannes Dirnberger“. Industrial Research Project, FH JOANNEUM, 2016. „Konzept Learn Repository Phase 1+2“. Industrial Research Project, FH JOANNEUM, 2016. „Konzept- u. Pilotphase MPS / Didaktik“. Industrial Research Project, FH JOANNEUM, 2016. „Kooperation FFG Projekt Smart Cities“. Industrial Research Project, FH JOANNEUM, 2016. „Lastenheft Produktionsplanungsprozesse“. Industrial Research Project, FH JOANNEUM, 2016. „MPS Didaktik Weiterführung Kooperation“. Industrial Research Project, FH JOANNEUM, 2016. „Neue Produktionsansätze durch I4.0“. Industrial Research Project, FH JOANNEUM, 2016. „Phase 1 - Prozesserhebung und -modellierung“. Industrial Research Project, FH JOANNEUM, 2016. „Phase 2 Unterstützung Einführung Standard SW“. Industrial Research Project, FH JOANNEUM, 2016. „Prozessmodellierung“. Industrial Research Project, FH JOANNEUM, 2016. „Reifegradanalyse im Einkauf“. Industrial Research Project, FH JOANNEUM, 2016. „Service Design und Engineering“. Industrial Research Project, FH JOANNEUM, 2016. „Service Grad Konzept“. Industrial Research Project, FH JOANNEUM, 2016. „Smart Data Marktpotenzialanalyse“. Industrial Research Project, FH JOANNEUM, 2016. „Weiterentwicklung Unternehmenscontrolling“. Industrial Research Project, FH JOANNEUM, 2016. „Einführung eines Lieferantenbewertungsmanagementprozesses“. Industrial Research Project, FH JOANNEUM, 2015. „Einkaufsanalyse u. Lieferantenportfolio-Tool“. Industrial Research Project, FH JOANNEUM, 2015. „Entwicklung eines Prozessmodells“. Industrial Research Project, FH JOANNEUM, 2015. „Geschäftsprozessmodellierung“. Industrial Research Project, FH JOANNEUM, 2015. „Innerbetriebl. Materialflüsse - Analyse u. Optimierung“. Industrial Research Project, FH JOANNEUM, 2015. „Instandhaltung Analyse“. Industrial Research Project, FH JOANNEUM, 2015. „Konzept Learning Academy“. Industrial Research Project, FH JOANNEUM, 2015. „Kooperation MPS Didaktik Workshop“. Industrial Research Project, FH JOANNEUM, 2015. „Kundenbefragung Servicebedarf“. Industrial Research Project, FH JOANNEUM, 2015. „Order Management SCM Prozessmodellierung“. Industrial Research Project, FH JOANNEUM, 2015. „Porzessanalyse Point of Sales“. Industrial Research Project, FH JOANNEUM, 2015. „Prozessmanagement im technischen Vertrieb“. Industrial Research Project, FH JOANNEUM, 2015. „Schulprojekt: Konzeption Technikbox“. Industrial Research Project, FH JOANNEUM, 2015. „Thermisches Aufbiegen“. Industrial Research Project, FH JOANNEUM, 2015. „Verplanung v. Ringen&Packungen&Bushings“. Industrial Research Project, FH JOANNEUM, 2015. Bischof, Christian/Brunner, Uwe/Stradner, Sascha: Supply Chain Controllin im Kontext der Digitalisierung, in: 4. Wissenschaftlicher Industrielogistik-Dialog, ISBN 978-3-7450-1631-4, Leoben 2017, S. 21-38. Bischof, Christian/Obmann, Gottfried/Kohlbacher, Herbert: Potenziele der Digitalisierung für das Management von Lieferantennetzwerken, in: WING Business, 1/2017, Graz 2017, S. 24-27. Brandstätter, Claudia/Wilfinger, Daniela: Investment Behaviour of Small and Medium-Sized Enterprises for a Sustainable Economic Growth After Financial Crises, in: Proceedings of MOTSP 2017 conference, ISSN: 1848-9591, Croatian Association for PLM, Dubrovnik/ Kroatien 2017. Brandstätter, Claudia/Wilfinger, Daniela: Investment Behaviour of Small and Medium-Sized Enterprises for a Sustainable Economic Growth After Financial Crises, in: MOTSP 2017: Management of Technology Step to Sustainable Production, Procedings of 9th International Scientific Conference, ISSN: 1848-9591, Dubrovnik/ Kroatien 2017. Brunner, Uwe/Gabriel, Magdalena/Bischof, Christian: Grundzüge des Prozessmanagements, NWV, Wien 2017. Brunner, Uwe/Wilfinger, Daniela/Dirnberger, Johannes: Smart Intralogistics - Digitale Vernetzung verschiedener Produktionsressourcen zur Optimierung der Wertschöpfung, in: WING Business, 1/2017, Graz 2017, S. 12-17. Dirnberger, Johannes/Brunner, Uwe/Zsifkovits, Helmut: Digitized VMI - Maturity Model for the FMCG Sector, in: Digitalization in Maritime and Sustainable Logistics (Proceedings of the Hamburg International Conference of Logistics (HICL), 24), ISBN 978-3-7450-4332-7, Hamburg, Deutschland 2017, S. 287-309. Gabriel, Magdalena/Schöggl, Josef-Peter/Posch, Alfred: Early front-end innovation decisions for self-organized IS dynamics - A case study on lignin utilization, in: Sustainability, ISSN 2071-1050 2017, S. 1-17. Gleich, Ronald/Losbichler, Heimo/Tschandl, Martin (Hrsg. ): Standards im Controlling, Haufe, Freiburg/München 2017. Grabner, Christian/Tschandl, Martin: Die Rolle von Standards im Controlling, in: Gleich/Losbichler/Tschandl (Hrsg. ), Standards im Controlling, Haufe, Freiburg/München 2017. Mayer, Barbara/Killian, Michaela/Kozek, Martin: Hierarchical model predictive control for sustainable building automation, in: Sustainability, Volume 9, ISSN: 2071-1050. DOI: 10.3390/su9020264, online, http://www.mdpi.com/2071-1050/9/2/264 2017. Mayer, Barbara/Leitner, Andreas: I4.0 – Flexible Produktion durch Entflechtung, in: WING Business, 1/2017, Graz 2017, S. 32-35. Mayer, Barbara/Rabel, Birgit/Sorko, Sabrina Romina: Modular Smart Production Lab, in: Procedia Manufacturing, Volume 9, ISSN: 2351-9789, DOI: 10.1016/j.promfg.2017.04.025, online 2017, S. 361-368. Peßl, Ernst/Sorko, Sabrina Romina/Mayer, Barbara: Roadmap Industrie 4.0 – Implementation Guideline for Enterprises, in: International Journal of Science, Technology and Society, DOI: 10.11648/j.ijsts.20170506.13, ISSN: 2330-7412 (Print), ISSN: 2330-7420 (Online), USA 2017, S. 200-209. Peßl, Ernst/Sorko, Sabrina Romina/Mayer, Barbara: Roadmap Industrie 4.0 – Implementation Guideline for Enterprises, in: IAMOT 2017 - International Association for Management of Technology, proceedings, ISBN: 978-3-200-04986-4, Wien 2017, S. 1728-1743. Richter, Herbert Michael/Gabriel, Magdalena/Friedmann, Michael: Service Engineering, in: WING Business, 1/2017, Graz 2017, S. 44-47. Richter, Herbert Michael/Tschandl, Martin: Service Engineering – Neue Services erfolgreich gestalten und umsetzen, in: Bruhn, Manfred/Hadwich, Karsten (Hrsg. ), Service Engineering – Forum Dienstleistungsmanagement, Springer-Gabler, Wiesbaden 2017. Schweiger, Jörg: Purchasing and Supply Management Maturity, in: Series Industrial Management, ISBN 978-3-7011-0391-1, Graz 2017, S. 1-232. Sorko, Sabrina Romina/Perez-Alonso, Azucena/Rabel Birgit: Kann Digitalisierung ohne den Menschen funktionieren?, in: WING Business, 1/2017, ISSN: 0256-7830 2017, S. 36-39. Sorko, Sabrina Romina/Trattner, Christian: Learning competence: The ability to develop competences independently as success factor for employees, in: International Journal for Business Education, Number 156, ISSN 2164-2877 (print), ISSN 2164-2885 (online) 2017, S. 28-33. Sorko, Sabrina/Brandstätter, Claudia/ Matl, Bianca: The Suitability of Classical Motivation Theories within the Framework of I 4.0 - Main Results of an Empirical Study, in: 23rd EBES Conference - Madrid Program and Abstract Book, ISBN 978-605-67622-1-5 2017. Sorko, Sabrina/Brandstätter, Claudia/ Matl, Bianca: The Suitability of Classical Motivation Theories within the Framework of I 4.0 - Main Results of an Empirical Study, in: Proceedings of 23rd EBES conference, Madrid, Spain, ISBN: 978-605-67622-1-5, Madrid 2017, S. 1267-1275. Thiele, Philipp/Gackstatter, Thomas/Schulze, Mike/Gleich, Ronald/Tschandl, Martin/Möller, Klaus: Controlling-Standards in der Unternehmenspraxis – Studienergebnisse zur internationalen Verbreitung, in: Gleich/Losbichler/Tschandl (Hrsg. ), Standards im Controlling, Haufe, Freiburg/München 2017, S. 103-117. Tschandl, Martin/Grabner, Christian/Mair, Josef/Pürrer, Engelbert: Roadmaps zur Einführung von Controlling-Standards, in: Gleich/Losbichler/Möller/Tschandl (Hrsg. ), Standards im Controlling, Haufe, Freiburg/München 2017. Tschandl, Martin/Peßl, Ernst/Baumann, Siegfried: Roadmap Industrie 4.0 – Strukturierte Umsetzung von Smart Production and Services in Unternehmen, in: WING Business, 1/2017, Graz 2017, S. 20-23. Welsh, Dominic: Building Awareness in Intercultural Negotiations, in: TBLT Conference, Barcelona 2017. Baker, Laura/Sonnenburg: Using DASH to Generate Co-Creativity in Liminal Experiences, in: Austrian Press Agency (APA), APA ZukunftWissen, http://science.apa.at/site/home/kooperation.html?marsname=/Lines/Science/Koop/Innovating%20Innovation 2016. Bischof, Christian/Gabriel, Magdalena/Wilfinger, Daniela/Rabel, Birgit: Strategic Implications of BIG DATA – A Comprehensive View, in: MIC 2016: Managing the global change, Proceedings of the Joint International Conferene, ISSN: 1854-4312, Koper/Slowenien 2016, S. 143-160. Brandstätter, Claudia/Hörmann, Patric: Die Planung einer Unternehmensexpansion - Ein prozessorientierter Leitfaden für Unternehmen, in: Controller Magazin, ISSN: 1616-0495, Wörthsee/Etterschlag 2016, S. 69-72. Brunner, Uwe/Dirnberger, Johannes: Sushi oder Parmesan: Wie reif ist Ihre interne Logistik?, in: VNL Magazin, Herbst 2016 2016, S. 30-31. Gabriel, Magdalena/Peßl Ernst: Analysis of environmental potential by implementing Industry 4.0, in: International Scientific Journal Industry 4.0, 2/2016, ISSN: 2543-8582, Borovets/Bulgarien 2016, S. 141-144. Gabriel, Magdalena/Peßl Ernst: Analysis of environmental potential by implementing Industry 4.0, in: 10. International Conference for young Researchers, Technical Sciences-Industrial Management Proceedings, Borovets/Bulgarien 2016. Irsa, Wolfram/Fellner, Michael: Overhead Cost Management in a Lean Smart Manufacturing Environment, in: Journal of Business Forecasting 2016, S. 68-81. Killian, Michaela/Mayer, Barbara/Schirrer, Alexander/Kozek, Martin: Cooperative Fuzzy Model Predictive Control, in: IEEE Transactions on Fuzzy Systems, Volume 24, ISSN: 1063-6706. DOI: 10.1109/TFUZZ.2015.2463674 2016, S. 471-482. Mayer Barbara/Killian, Michaela/Kozek, Martin: Modular Model Predictive Control Concept for Building Energy Supply Systems: Simulation Results for a Large Office Building, in: Proceedings of 9th EUROSIM Congress on Modelling and Simulation (EUROSIM‘16), IEEE Computer Society, Washington, DC, USA, DOI: 10.1109/EUROSIM.2016, Oulu 2016. Mayer, Barbara/Killian, Michaela/Kozek, Martin: A branch and bound approach for building cooling supply control with hybrid MPC, in: Energy and Buildings, Volume 128, ISSN: 0378-7788. DOI: 10.1016/j.enbuild.2016.07.027 2016, S. 553-566. Ortner Wolfgang, Wesiak Jörg, Bischof Christian: Application Management and Delivery – Aufgaben und Prozesse, in: Tiemeyer, Ernst (Hrsg. ): Handbuch IT-Systemmanagement, Handlungsfelder, Prozesse, Managementinstrumente, Good-Practices, 2016, S. 0-227. Ortner, Wolfgang: Jump Start für moderne Logistikprozesse in KMU, in: VNL Magazin 2016. Pérez Alonso, A:/Sánchez García, J.C./Maditinos, D.: Entrepreneurial opportunities perception and intentions within European innovation-driven economies under the shadow of a financial crisis., in: Entrepreneurship, Business and Economics, Vol. 1, Springer Editorial 2016, S. 0-13. Richter, Herbert Michael/Tschandl, Martin/Gabriel, Magdalena: Entwicklung neuer Services mit System, in: VNL Magazin, Herbst 2016 2016, S. 32-33. Richter, Herbert-Michael/Tschandl, Martin/Plasch, Michael/Mallaschitz, Christopher: Erfolg durch neue Services: Service Design & Engineering – Methoden, Werkzeuge und Vorgehensweisen, in: VNL Whitepaper, ISBN: 978-3-902103-64-2, Kapfenberg/Steyr 2016. Schoberegger, Bettina/Tschandl, Martin: Wechselwirkungen im Working Capital Management, in: Controller Magazin, 1/2016 2016. Schöggl, Josef-Peter/Gabriel, Magdalena/Posch, Alfred: Sustainability-oriented by-products innovation – a case study on lignin valorisation in the Austrian pulp and paper industry, in: 22nd International Sustainable Development Research Society Conference, Lissabon 2016. Sorko, Sabrina Romina/Irsa, Wolfram: Engineering Education - Status quo in Austria in comparison with the academic field of Business Education, in: TOJET - Turkish Online Journal of Educational Technology, ISSN: 2146-7242 2016, S. 890-894. Sorko, Sabrina Romina/Irsa, Wolfram: Engineering Education - Status quo in Austria in comparison with the academic field of Business Education, in: International Conference on new Horizons in Education, Proceedings Book, Volume 2, ISSN: 2146-7358, Wien 2016, S. 361-365. Sorko, Sabrina Romina/Kohlbacher Herbert: Embedded eLearning – on demand improvement of ERP competences, in: Felderer, Michael/Piazolo, Felix/Ortner, Wolfgang/Brehm, Lars/Hof, Hans-Joachim (Hrsg. ): Innovations in Enterprise Information Systems Management and Engineering, Springer International Publishing 2016, S. 19-27. Sorko, Sabrina Romina/Kreil, Michael: Personalentwicklung im Wandel der vierten industriellen (R)Evolution, in: Fachhochschule des BFI Wien, BRÜCKEN BAUEN – PERSPEKTIVEN GESTALTEN, Tagungsband, Wien 2016. Sorko, Sabrina Romina/Rabel, Birgit/Richter, Herbert Michael: The Future of Employment – Challenges in Human Resources through Digitalization, in: International Scientific Journal Industry 4.0, 2/2016, ISSN: 2543-8582 2016, S. 128-131. Sorko, Sabrina Romina/Rabel, Birgit/Richter, Herbert Michael: The Future of Employment – Challenges in Human Resources through Digitalization, in: International Scientific Conference Industry 4.0, Proceedings, Volume 28/214, ISSN: 1310-3946, Borovets/Bulgarien 2016, S. 38-41. Sorko, Sabrina Romina: Invisible Competences As Hidden Resources, in: Proceedings/Abstracts of Presentations given at the 88th International SIEC-ISBE Conference, http://www.siec-isbe.org/uploads/8/9/6/2/8962951/2016conferenceproceedings.pdf, Graz 2016, S. 9-10. Tschandl, Martin/Mallaschitz, Christopher: Industrie 4.0: Controller als Treiber einer strategischen Neuausrichtung, in: Gleich, Roland/Losbichler, Heimo/Zierhofer, Rainer: Unternehmenssteuerung im Zeitalter von Industrie 4.0 – Wie Controller die digitale Transformation erfolgreich steuern, Haufe, München 2016, S. 85-106. Tschandl, Martin/Schentler, Peter/Bischof, Christian: Digitalisierung im Einkauf – Technologien und Anwendungsbeispiele, in: WING Business, 4/2016, Graz 2016. Tschandl, Martin/Schentler, Peter: Beschaffungscontrolling: Den Einkauf zielorientiert steuern, in: Klein, Andreas/Schentler, Peter (Hrsg. ), Einkaufscontrolling, Haufe, Freiburg/München 2016, S. 25-44. Welsh, Dominic/Fischer, Clemens: Social and linguistic change in the era of the digital economy (I4.0), in: Fachhochschule des BFI Wien, BRÜCKEN BAUEN – PERSPEKTIVEN GESTALTEN, Tagungsband, Wien 2016. Welsh, Dominic: Teaching Technical English – a HECLIL Approach, in: Konferenzbeitrag LIC-Conference, FH Joanneum 2016. Baumgartner, Julia. „Entwicklung eines Prozesskostenmodells als Basis der Produktionsstandortentscheidung“. Master Thesis, FH JOANNEUM, 2017. Fischer, Clemens. „Analysemodell zur Reifegradermittlung und Weiterentwicklung von Produkt-Service-Angeboten bei Industriebetrieben und Logistikern“. Master Thesis, FH JOANNEUM, 2017. Gmoser, Michelle. „Launch Management in the Automotive Industry“. Master Thesis, FH JOANNEUM, 2017. Guggi, Martin. „Shopfloor Management: Entwicklung eines Shopfloor Management Konzeptes für mittelständische Unternehmensgruppen über mehrere Produktionsstandorte“. Master Thesis, FH JOANNEUM, 2017. Halilcevic, Adela. „Optimierung des C-Teile Managements am Beispiel der Sandvik Mining and Construction GmbH“. Master Thesis, FH JOANNEUM, 2017. Kogleck, Rico. „Digitale Transformation von Geschäftsmodellen in KMU: Praktischer Leitfaden - Wie können KMU-Entrepreneure ihr Geschäftsmodell digitalisieren?“. Master Thesis, FH JOANNEUM, 2017. Rainer, Annelies Katrin. „Creating a Concept to Optimize Waste Management in Production Companies“. Master Thesis, FH JOANNEUM, 2017. Steger, Josua. „Geschäftsmodellinnovation: Entwicklung eines Vorgehensmodells für intelligente Produkte“. Master Thesis, FH JOANNEUM, 2017. Stradner, Sascha. „Leerwagendisposition flexibler Fördersysteme: dargestellt am Beispiel des SSI Autocruiser“. Master Thesis, FH JOANNEUM, 2017. Untergrabner, Thomas. „Vorgehensmodell zur ISO 9001 Zertifizierung bei Umstrukturierung eines Unternehmens“. Master Thesis, FH JOANNEUM, 2017. Walter, Florian. „Aufbau einer Serienproduktion und Evaluierung der qualitätsrelevanten Steuerungsmaßnahmen im Hinblick auf IATF 16949 und Einführung eines MES-Systems“. Master Thesis, FH JOANNEUM, 2017. Wieser, Stefanie. „Auswirkungen der Elektromobilität in Österreich mit Fokus auf die Zulieferindustrie“. Master Thesis, FH JOANNEUM, 2017. Anhofer, Jörg-Hubert. „Steigerung der Wettbewerbsfähigkeit von Industrieunternehmen durch Digitalisierung“. Master Thesis, FH JOANNEUM, 2017. Breit, Christina. „Service Engineering: Dienstleistungsangebote Steirischer Hersteller eingebettet in ein Reifegradmodell für Services“. Master Thesis, FH JOANNEUM, 2017. Feldbaumer, Kristina. „Bioprinting: Technologische Herausforderungen im medizinischen 3D Druck“. Master Thesis, FH JOANNEUM, 2017. Firat, Isil. „Strategische Geschäftsfeldanalyse: Konzepterstellung zur Erweiterung des Produktportfolios in einem Großunternehmen anhand eines Brennstoffzellen-Steuergerätes“. Master Thesis, FH JOANNEUM, 2017. Hirschenberger, Stefan. „Die Digitalisierung des industriellen Energiemanagements: Effizienz und Transparenz durch das Internet der Dinge“. Master Thesis, FH JOANNEUM, 2017. Kappel, Patrick. „The roadmap for screen-technologies“. Master Thesis, FH JOANNEUM, 2017. Kapper, Petra. „Big Data im Controlling: Zeitgemäße Unternehmenssteuerung vor dem Hintergrund von Big Data“. Master Thesis, FH JOANNEUM, 2017. Kreil, Michael. „Systematische Geschäftsmodellentwicklung als Erfolgsfaktor im österreichischen Startup-Umfeld“. Master Thesis, FH JOANNEUM, 2017. Leister, Markus. „Verhandlungsführung bei Investitionen“. Master Thesis, FH JOANNEUM, 2017. Möstl, Angel. „Motivation als Erfolgsfaktor zur Führung der Generation Babyboomer“. Master Thesis, FH JOANNEUM, 2017. Mühlthaler, Carina. „Die Bedeutung der CO2-Abtrennung und Speicherung im industriellen Kontext: Brückentechnologie oder Illusion?“. Master Thesis, FH JOANNEUM, 2017. Peheim, Joachim. „Prozesskostenrechnung im Vertrieb - dargestellt am Angebotsprozess der KNAPP AG“. Master Thesis, FH JOANNEUM, 2017. Rauscher, Emmy. „Einsatz des St. Galler Business Model Navigator als Entwicklungsmodell im Service Engineering: Modelle, Methoden und Best Practices aus Forschung und Praxis“. Master Thesis, FH JOANNEUM, 2017. Schöffauer, Bernhard. „Industrie 4.0 - Umsetzungskonzepte im internationalen Vergleich: Handlungsempfehlungen für österreichische Unternehmen“. Master Thesis, FH JOANNEUM, 2017. Schrank, Lisa Maria. „Evaluierung des tatsächlichen Impacts von ausgewählten Modulen einer Customer-Relationship-Management-Software auf den Vertrieb der Austria Druckguss GmbH: Impact CRM-Systeme“. Master Thesis, FH JOANNEUM, 2017. Schwarzl, Mathias. „Einkauf 4.0 - Herausforderungen und Änderungen im strategischen und operativen Einkauf aufgrund der vierten Industriellen Revolution“. Master Thesis, FH JOANNEUM, 2017. Thaler, Lukas. „Erstellung einer Roadmap für die systematische Betriebsdatenerfassung am Beispiel der "voestalpine Böhler Welding Austria GmbH"“. Master Thesis, FH JOANNEUM, 2017. Weinhandl, Felix. „Optimierung von Fertigungsprozessen mittels Digitalisierung: untersucht auf den österreichischen Industrieraum“. Master Thesis, FH JOANNEUM, 2017. Willingshofer, Mathias. „Aufbau eines Projektcontrollings für strategische Projekte in einer Unternehmensgruppe“. Master Thesis, FH JOANNEUM, 2017. Wurster, Nora. „Fuehrung im Wandel: Soziale Kompetenz von Fuehrungskrae€ften im Veraenderungsprozess im Kontext von Unternehmensakquisitionen anhand eines Praxisbeispiels“. Master Thesis, FH JOANNEUM, 2017. Zucker, Michael. „Identification of quantitative and qualitative benefits by Auto-ID with special focus on RFID and the goods receipt“. Master Thesis, FH JOANNEUM, 2017. Bianca, Matl. „Smart Motivation am Weg zur Smart Factory“. Master Thesis, FH JOANNEUM, 2016. Bianca, Neuwirth. „Rapid Prototyping - Analyse und Vergleich zum herkömmlichen Prototypenherstellungsverfahren und dessen Nutzen für Unternehmen“. Master Thesis, FH JOANNEUM, 2016. Birgit, Gödl. „Sustainable Smart Logistics“. Master Thesis, FH JOANNEUM, 2016. Camilla, Grabner. „Einfluss von Megatrends auf working models und die daraus resultierenden Auswirkungen auf Leistung und Motivation“. Master Thesis, FH JOANNEUM, 2016. Christina, Hofbauer. „Verkehrsinfrastruktur Österreich - Status Quo aus Sicht der Industrie“. Master Thesis, FH JOANNEUM, 2016. Hanna, Schönberger. „Instrumente zur Optimierung der Supply Chain und deren Auswirkung auf das Performance Measurement in der Pharmaindustrie“. Master Thesis, FH JOANNEUM, 2016. Jana, Machacova. „EU Financial Instruments Supporting Small and Medium-Sized Enterprises (SMEs) in Implementation of Innovation and Research Projects - Performance in Austria and the Czech Republic“. Master Thesis, FH JOANNEUM, 2016. Jasmin, Lackner. „In-Memory-Computing: Nutzenpotenziale und kritische Erfolgsfaktoren für Industrieunternehmen“. Master Thesis, FH JOANNEUM, 2016. Johannes, Dirnberger. „Development of a VMI maturity model for the system catering industry“. Master Thesis, FH JOANNEUM, 2016. Katja, Spieler. „Ökologisch nachhaltige Produktion durch Industrie 4.0 - Analyse der möglichen Potenziale von Industrie 4.0 zur Verminderung ökologischer Problemstellungen industrieller Betriebe“. Master Thesis, FH JOANNEUM, 2016. Lukas, Portugal. „Optimization of the ware- and spare parts supplying processes of Magna Steyr“. Master Thesis, FH JOANNEUM, 2016. Martin, Petkov. „Industrie 4.0 unter besonderer Berücksichtigung des Faktors Mensch“. Master Thesis, FH JOANNEUM, 2016. Michael, Wolkerstorfer. „Determination and Evaluation of One-time Costs and Production Costs of a Vehicle Project in the Early Strategic Phase“. Master Thesis, FH JOANNEUM, 2016. Sebastian, Stöttinger. „Marketing Automation Systems in the Austrian B2B Product Business“. Master Thesis, FH JOANNEUM, 2016. Sophie, Schafleitner. „Erarbeitung eines Transformationsmodells zur Etablierung eines strukturierten Einkaufs mit Fokus auf KMU“. Master Thesis, FH JOANNEUM, 2016. Stefan, Pammer. „Anforderungen an die Umsetzung des Reporting in mittelständischen Unternehmen vor dem Hintergrund moderner ERP-Standardsoftware“. Master Thesis, FH JOANNEUM, 2016. Andrej, Chernysh. „Statistische Prozesssteuerung mit Produktionsleitsystemen“. Master Thesis, FH JOANNEUM, 2016. Angelika, Hierzer. „Industrie 4.0 - Internet der Dinge und Dienste im Maschinen- und Anlagenbau“. Master Thesis, FH JOANNEUM, 2016. Bernd, Gutleben. „Kleben von Radsatzführungsbuchsen mit anaeroben Klebstoffen in Drehgestellen“. Master Thesis, FH JOANNEUM, 2016. Carina, Zach. „Auftragsvergabe nach dem Bestbieter-Prinzip“. Master Thesis, FH JOANNEUM, 2016. Daniel, Krainer. „Optimierung des Customer Touchpoint Managements in der Kundenakquise - am Beispiel eines Dienstleistungsunternehmens im CAE-Bereich“. Master Thesis, FH JOANNEUM, 2016. Jennifer, Brunner. „Zukunftspotentiale der Smart Factory - Analyse der Auswirkungen und Potentiale von Industrie 4.0 in der Produktion sowie Ableitung von Chancen und Risiken“. Master Thesis, FH JOANNEUM, 2016. Johannes, Pamsl. „Auswirkungen von Basel III auf die österreichische KMU in der Industrie: eine empirische Studie “. Master Thesis, FH JOANNEUM, 2016. Jürgen, Reif. „Dienstleistungsentwicklung im Bereich Qualitätssicherung des Unternehmens Salomon Automation GmbH“. Master Thesis, FH JOANNEUM, 2016. Katharina, Fraiß. „Optimierung des Rohstoffbeschaffungsprozesses in einem Stahlunternehmen“. Master Thesis, FH JOANNEUM, 2016. Katharina, Rajovic. „Establishing a Risk Management Prototype for Electronic Purchasing“. Master Thesis, FH JOANNEUM, 2016. Marco Helmut, Lammer. „Kundenzufriedenheitsanalyse in der Supply Chain der Fresenius Kabi Austria GmbH - als Instrument zur Prozessverbesserung“. Master Thesis, FH JOANNEUM, 2016. Marcus, Elsner. „Identifikation von Erfolgsfaktoren für das Risikomanagement im industriellen Handelswareneinkauf“. Master Thesis, FH JOANNEUM, 2016. Markus, Linner. „Erstellung eines Reifegradmodells für das Lieferantenmanagement mit besonderer Rücksichtnahme auf die Spezifika der Luftfahrtindustrie“. Master Thesis, FH JOANNEUM, 2016. Martin, Felberbauer. „Anpassung der Vertriebsstruktur auf ein verändertes Produktportfolio unter Anwendung der Change Management Methoden“. Master Thesis, FH JOANNEUM, 2016. Martin, Ranner. „Szenarien als Basis für die Strategieentwicklung im Bereich der Intralogistik“. Master Thesis, FH JOANNEUM, 2016. Melanie, Wolf. „Prozessoptimierung im Ersatzteilgeschäft eines mittelständischen Unternehmens im Maschinenbau - Eine Analyse am Beispiel der Komptech GmbH“. Master Thesis, FH JOANNEUM, 2016. Patric, Hörmann. „Konzeption eines integrierten Benchmarking- und Controlling-Modells für den Konzern - in Zusammenarbeit mit der pewag Austria GmbH“. Master Thesis, FH JOANNEUM, 2016. Stephan, Hammer. 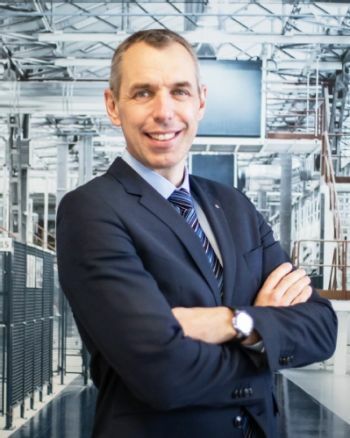 „Digitale Fabrik - Entscheidungshilfe für die organisatorische Integration einer Digitalen Fabrik am Beispiel des Unternehmens Magna Steyr (Standort Graz)“. Master Thesis, FH JOANNEUM, 2016. Thomas, Laposa. „Konzeption eines Vorgehensmodells für die Integration zwischen einem ERP- und einem CAD-System zur konstruktionsbegleitenden Kalkulation von Bauteilen“. Master Thesis, FH JOANNEUM, 2016. Thomas, Wagner. „Anwendungsbereich von Commercial Excellence in der europäischen Industrie“. Master Thesis, FH JOANNEUM, 2016. Andreas, Gollob. „Entwicklung eines Organisations- und Prozessmodells für den projektbezogenen Einkauf unter besonderer Berücksichtigung des Expeditings, dargestellt anhand des Projektgeschäfts der OMV AG“. Master Thesis, FH JOANNEUM, 2015. Andreas, Gruber. „Methoden und Kennzahlen zur Messung und Darstellung des monetären Erfolgs im Einkauf“. Master Thesis, FH JOANNEUM, 2015. Bilal, Ayad. „Moderne Ansätze des Change Management zur Professionalisierung des betrieblichen Einkaufs“. Master Thesis, FH JOANNEUM, 2015. Christoph, Hammer. „Risk Management im Material Einkauf am Beispiel eines Herstellers von Aluminium-Produkten“. Master Thesis, FH JOANNEUM, 2015. Marc Stephan, Schönach. „Key performance indicators in procurement and their practical use in the manufacturing industry in the DACH-countries of Germany, Austria and Switzerland“. Master Thesis, FH JOANNEUM, 2015. Marco, Poller. „Performance Measurement für die Kontraktlogistik - Machbarkeitsstudie für ein unternehmensspezifisches Performace Measurement System auf Basis von Kennzahlen am Beispiel der Rhenus Contract Logistics AG - Schweiz“. Master Thesis, FH JOANNEUM, 2015. Marc-Philipp, Offner. „Aufbau eines Franchisesystems - dargestellt an einem österreichischen Kleinunternehmen“. Master Thesis, FH JOANNEUM, 2015. Maria, Wolfond. „Business Process Reengineering“. Master Thesis, FH JOANNEUM, 2015. Niko, Maric. „Mitarbeiterunternehmen - Analyse der Auswirkungen auf wirtschaftlichen Erfolg und Mitarbeiter“. Master Thesis, FH JOANNEUM, 2015. Roland, Sackl. „Cultural influences and challenges in supplier management - A comparison between Austria and Mexico“. Master Thesis, FH JOANNEUM, 2015. Stefan, Griesser. „Cleaning process optimization for cryogenic storage vessels applied with Liquefied Natural Gas in commercial vehicles: From the prototype to the serial production process in prospect of time, quality and costs“. Master Thesis, FH JOANNEUM, 2015. Tanja, Wolfand. „Neue Arbeitsmodelle für eine neue Generation“. Master Thesis, FH JOANNEUM, 2015. Alexander, Ornig. „Interdisziplinäre Kompetenzentwicklung für Industrie 4.0 - Entwicklung eines fächerübergreifenden Hochschulausbildungsszenarios unter Berücksichtigung der sich ändernden Personalanforderungen durch Industrie 4.0“. Master Thesis, FH JOANNEUM, 2015. Andreas, Vorraber. „Konzept zur Anpassung des Inventurprozesses an die Anforderungen nach US-GAAP - Am Beispiel eines Auftragsfertigers der Automobilbranche“. Master Thesis, FH JOANNEUM, 2015. Axel, Reyes-Nielsen. „Enhancing Methods to prove Warehouse Availability“. Master Thesis, FH JOANNEUM, 2015. Benjamin, Fridrich. „Analyseinstrumente und Methoden der strategischen Planung im Rahmen der Gründung von Klein- und Mittelunternehmen“. Master Thesis, FH JOANNEUM, 2015. Georg, Buchinger. „Development of a Feasibility Check regarding potential Utilisation of Biogas at McDonald's “. Master Thesis, FH JOANNEUM, 2015. Georg, Krenn. „Nutzensteigerung für Enterprise 2.0 - Entwicklung einer Methodik zur Erkennung interaktionsorientierter Geschäftsprozesse“. Master Thesis, FH JOANNEUM, 2015. Heidrun, Schön. „Optimierung der Wertschöpfungskette durch den Einsatz der Wertstromanalyse“. Master Thesis, FH JOANNEUM, 2015. Helmut, Kaimbacher. „Target Costing als Instrument in der Fahrzeugindustrie zur Findung einer Preisobergrenze im Einkauf“. Master Thesis, FH JOANNEUM, 2015. Maria, Krenn. „Konzept zur Komplexitätsreduktion - im Engineer-to-Order Geschäft unter der Optimierung der Konfiguratorlogik“. Master Thesis, FH JOANNEUM, 2015. Philipp, Hausegger. „Leitfaden für die Optimierung von Fertigungsprozessen bei Pankl Engine Systems GmbH & Co KG“. Master Thesis, FH JOANNEUM, 2015. Thomas, Happer. „Einführung eines Lead Buyer Konzepts im industriellen Umfeld“. Master Thesis, FH JOANNEUM, 2015. Besendorfer, Karin. „3D-Druck - die additive Fertigung: Ein Vergleich zwischen den unterschiedlichen Verfahren“. Bachelor’s thesis, FH JOANNEUM, 2017. Böhm, Peter. „Auswirkungen von Industrie 4.0 auf die Lieferantenintegration“. Bachelor’s thesis, FH JOANNEUM, 2017. Bruckmüller, Florian. „Entwicklung einer Bewertungsmethode auf Basis des Scoring Modells und Matrix Approach: Vergleich qualitativer Verfahren der Lieferantenbewertung“. Bachelor’s thesis, FH JOANNEUM, 2017. Cavnicar, Petra. „Entwicklung eines didaktischen Konzepts zur Vermittlung grundlegender Programmierkompetenzen mithilfe Arduino“. Bachelor’s thesis, FH JOANNEUM, 2017. Cebul, Markus. „Bewertung von Methoden zum Service Engineering“. Bachelor’s thesis, FH JOANNEUM, 2017. Feiner, Jonathan. „Complex Event Processing in Produktionsbetrieben“. Bachelor’s thesis, FH JOANNEUM, 2017. Fellner, Luise. „Beurteilungsmethoden von ERP-Systemen vor dem Hintergrund unterschiedlicher Betreibermodelle in der INTECO melting and casting technologies GmbH“. Bachelor’s thesis, FH JOANNEUM, 2017. Fleith, Markus. 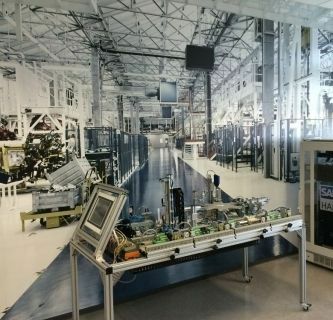 „Augmented Reality: On Demand Training mit Augmented Reality in der Smart Factory.“. Bachelor’s thesis, FH JOANNEUM, 2017. Freiseder, Thomas. „Change-Management in KMUs: Entwicklung eines interdisziplinären Ansatzes zur Sanierung von produzierenden und technologieorientierten Unternehmen“. Bachelor’s thesis, FH JOANNEUM, 2017. Gaar, Julia. „Industrie 4.0 und die Auswirkungen auf den österreichischen Arbeitsmarkt: Vergleich von internationalen Studien“. Bachelor’s thesis, FH JOANNEUM, 2017. Götschl, Lukas. „Kollaborative Robotik: Die technischen Voraussetzungen für eine sichere Anwendung und die Potentiale in der Fertigung“. Bachelor’s thesis, FH JOANNEUM, 2017. Harrer, Verena. „DIY-Webshop Erfolgsfaktoren: Erstellung eines Leitfadens für den erfolgreichen Aufbau eines Webshops im Bau- und Gartenbereich am Beispiel der Raiffeisen Ware Austria AG“. Bachelor’s thesis, FH JOANNEUM, 2017. Hechtl, Christoph. „Fachkräftemangel im Zeitalter der Digitalisierung: Herausforderung für Politik und Industrie“. Bachelor’s thesis, FH JOANNEUM, 2017. Helfenschneider, Sabrina. „Chancen und Risiken durch "Internet of Things" für die österreichische Vertriebsbranche“. Bachelor’s thesis, FH JOANNEUM, 2017. Herold, Stefan. „Cyber Physikalische Systeme: Kommunikationsschnittstelle zwischen virtueller und realer Welt“. Bachelor’s thesis, FH JOANNEUM, 2017. Heschl, Daniela. „Usability als nicht funktionale zentrale Anforderung bei der Digitalisierung des Kompetenzentwicklungsportfolios am Institut Industrial Management“. Bachelor’s thesis, FH JOANNEUM, 2017. Hirsch, Andreas. „Erstellung einer Management Roadmap im Service Engineering“. Bachelor’s thesis, FH JOANNEUM, 2017. Hofer, Wolfgang. „Vergleich alternativer Antriebstechniken in der Automobilindustrie“. Bachelor’s thesis, FH JOANNEUM, 2017. Höfler, Stefan. „Use Case Overall Equipment Effectiveness: Merkmale für Verfügbarkeit, Leistungsgrad und Qualitätsrate im Smart Production Lab“. Bachelor’s thesis, FH JOANNEUM, 2017. Hollmann, Alexander. „Category Management als Erfolgsfaktor in Unternehmen“. Bachelor’s thesis, FH JOANNEUM, 2017. Karacsony, Manuela. „Förderpreise für Industriebetriebe auf nationaler und EU-Ebene mit Fokus auf Industrie 4.0“. Bachelor’s thesis, FH JOANNEUM, 2017. Köck, Christopher. „Methoden und Instrumente zur Optimierung der Produktionslogistik in Industrieunternehmen“. Bachelor’s thesis, FH JOANNEUM, 2017. Krasser, Barbara. „"Last Mile" Logistik: Entwicklung einer Vergleichsmethodik zur Analyse von geeigneten Lösungsansätzen für die „Last Mile““. Bachelor’s thesis, FH JOANNEUM, 2017. Laglbauer, Patricia. „Big Data - Big Chance or Big Costs? Die neue Art der Unternehmenssteuerung und warum sich das Controlling damit auseinandersetzen muss“. Bachelor’s thesis, FH JOANNEUM, 2017. Leuchtenmüller, Sarah. „Erstellung eines Fragebogens zur Erhebung des Transportlogistik-Status österreichischer Klein- und Mittelindustriebetriebe“. Bachelor’s thesis, FH JOANNEUM, 2017. Luznik, Lukas. „Systematischer Abgleich von relevanten Qualitätsnormen in der Automobilindustrie“. Bachelor’s thesis, FH JOANNEUM, 2017. Mader, Christian. „Internet of Things: Prototypenumsetzung einer Aktoranbindung“. Bachelor’s thesis, FH JOANNEUM, 2017. Meister, Carina. „Auswahlkriterien für ein Dokumentenmanagementsystem“. Bachelor’s thesis, FH JOANNEUM, 2017. Moik, Nina. „Verhaltensorientiertes Controlling“. Bachelor’s thesis, FH JOANNEUM, 2017. Moosbrugger, Werner. „Veränderung der Verfügbarkeit in der Produktion bei der Anwendung von Industrie 4.0“. Bachelor’s thesis, FH JOANNEUM, 2017. Muhrer, Florian. „Auswirkungen der Digitalisierung auf den Maschinenbau“. Bachelor’s thesis, FH JOANNEUM, 2017. Ortner, Christina. „Anwendungsentwicklung auf Mikrocontrollern für Industrie 4.0: Entwicklung eines Implementierungskonzeptes und eines Praxisleitfadens zur Umsetzung anhand der Hardware-/Softwarekombination Arduino und Visual Basic for Applications“. Bachelor’s thesis, FH JOANNEUM, 2017. Oswald, Stefan. „Reifegradmodell, Business Model Canvas und Value Proposition Canvas als Bausteine für die Entwicklung einer Management Roadmap im Service Engineering“. Bachelor’s thesis, FH JOANNEUM, 2017. Pagger, Matthäus. „Wirtschaftlichkeitsanalyse 3D-Scannen zu 3D-Zeichnen“. Bachelor’s thesis, FH JOANNEUM, 2017. Pichler, Thorsten. „Stategische Partnerschaft mit Key Accounts - Kooperative Zusammenarbeit zwischen Industrie und Handel und der daraus resultierende Nutzen für das Industrieunternehmen“. Bachelor’s thesis, FH JOANNEUM, 2017. Plentner, Corinna. „Einsatz von Kreativitätstechniken im Problemlösungsprozess: Die Entwicklung einer Methodentoolbox für Führungskräfte in KMU“. Bachelor’s thesis, FH JOANNEUM, 2017. Ramusch, Oliver. „Betriebswirtschaftlicher Nutzen eines softwaregestützten Lieferantenmanagements am Beispiel eines Stahlunternehmens“. Bachelor’s thesis, FH JOANNEUM, 2017. Reinwald, Martin. „Werkzeuge zur Entwicklung von neuen Services“. Bachelor’s thesis, FH JOANNEUM, 2017. Reiter, Richard. „Wirtschaftlichkeitsanalyse von abtragender Bearbeitung und generativen Fertigungsverfahren“. Bachelor’s thesis, FH JOANNEUM, 2017. Rihs, Nikol. „Kulturwandel in Organisationen: Der Weg zur Digitalisierung“. Bachelor’s thesis, FH JOANNEUM, 2017. Schaffer-Hassmann, Herbert. „Eventmanagement: Erfolgsfaktoren für internationale akademische Events“. Bachelor’s thesis, FH JOANNEUM, 2017. Schelling, Nicole. „Die Entwicklung von geografischen Informationssystemen: Erstellung einer Karte der österreichischen Autobahnen, Schnellstraßen und Bundesstraßen in QGIS“. Bachelor’s thesis, FH JOANNEUM, 2017. Seebacher, Manfred. „Analyse verschiedener Additiver Fertigungsverfahren im Bereich der Metallsintertechnologie“. Bachelor’s thesis, FH JOANNEUM, 2017. Sipic, Admir. „Kosten-Nutzen Analyse von intelligenten Kleinteilebehältern“. Bachelor’s thesis, FH JOANNEUM, 2017. Steinberger, Malina. „Front End Eco Innovationsprozess“. Bachelor’s thesis, FH JOANNEUM, 2017. Stonitsch, Christian. 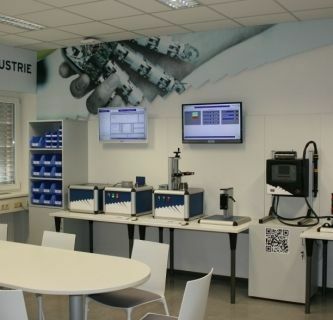 „Rüsten und Setup Management: Am Beispiel eines Bauteils im Smart Production Lab“. Bachelor’s thesis, FH JOANNEUM, 2017. Stubenschrott, Birgit. „Die Generation Z - Arbeitnehmer/innen der Zukunft: Herausforderung des Personalmanagements im Personalbeschaffungsprozess“. Bachelor’s thesis, FH JOANNEUM, 2017. Artner, Clemens. „Diversity Management: Kulturelle Vielfalt in österreichischen Unternehmen und deren Management“. Bachelor’s thesis, FH JOANNEUM, 2016. Assinger, Kevin. „Anwendung der Entscheidungstheorie am Beispiel Forschungspreise für Wirtschaftsingenieure“. Bachelor’s thesis, FH JOANNEUM, 2016. Beck, Raphael. „Integration des Themengebiets Internet of Things mit Arduino in die Lehre“. Bachelor’s thesis, FH JOANNEUM, 2016. Benischek, Lisa. „Unified Communications and Cooperations - Die betriebliche Kommunikationslösung der Zukunft?“. Bachelor’s thesis, FH JOANNEUM, 2016. Besendorfer, Karin. „Erweiterungen in der Qualitätssicherung zur Risserkennung in metallischen Werkstoffen“. Bachelor’s thesis, FH JOANNEUM, 2016. Böhm, Peter. „Einflussfaktoren der Supply Chain auf ein Lager und die Wirkungen auf wichtige Kenngrößen eines Lagers“. Bachelor’s thesis, FH JOANNEUM, 2016. Bruckmüller, Florian. „Steigerung des ROI durch den Einkauf: Ansätze und Instrumente“. Bachelor’s thesis, FH JOANNEUM, 2016. Cavnicar, Petra. „Optimierung der Lagerlogistik und Implementierung des Materialwirtschaftsprogramms Globemanager“. Bachelor’s thesis, FH JOANNEUM, 2016. Cebul, Markus. „Strategien zur Optimierung der Mitarbeiterleistung im Schichtbetrieb“. Bachelor’s thesis, FH JOANNEUM, 2016. Digitalisierung des Controllings und der Unternehmenssteuerung vor dem Hintergrund von Industrie 4.0“. Bachelor’s thesis, FH JOANNEUM, 2016. Eisenberger, Mona. „Potentiale von Big Data für das Supply Chain Forecasting“. Bachelor’s thesis, FH JOANNEUM, 2016. Feiner, Jonathan. „Konzept zur Optimierung von Auftragskalkulationen in kleinen Metalltechnikbetrieben mit Einzelfertigung“. Bachelor’s thesis, FH JOANNEUM, 2016. Fellner, Luise. „Die Vorgehensweise der ERP-System-Auswahl: Eine Differenzenanalyse zwischen Theorie und Praxis“. Bachelor’s thesis, FH JOANNEUM, 2016. Fleith, Markus. „Qualität in der Industrie 4.0“. Bachelor’s thesis, FH JOANNEUM, 2016. Freiseder, Thomas. „Reklamationsmanagement: Planung und Umsetzung eines Lieferanten-Reklamationsprozesses zur Verbesserung der Kunden Lieferantenbeziehung“. Bachelor’s thesis, FH JOANNEUM, 2016. Führer, Michaela. „Entwicklung eines Vorgehensmodells zur Einführung eines Produktionskennzahlensystems am Beispiel der Siemens Transformers Weiz“. Bachelor’s thesis, FH JOANNEUM, 2016. Gaar, Julia. „Erstellen einer Prozessbeschreibung am Beispiel der voestalpine Tubulars“. Bachelor’s thesis, FH JOANNEUM, 2016. Goian, Alexandru. „Neue Ansätze von Leadership“. Bachelor’s thesis, FH JOANNEUM, 2016. Götschl, Lukas. „Ladungsträgermanagement im Automobilzulieferergeschäft bei der Magna Powertrain“. Bachelor’s thesis, FH JOANNEUM, 2016. Grabner, Alexander. „Potentiale von Internet of Things und Industrie 4.0 für die Automatisierung und Produktion“. Bachelor’s thesis, FH JOANNEUM, 2016. Harrer, Verena. „Das interne Kontrollsystem (IKS) in der Kreditorenbuchhaltung eines stahlverarbeitenden Unternehmens“. Bachelor’s thesis, FH JOANNEUM, 2016. Hechtl, Christoph. „Die Anwendung des Arbeitsstudiums in metallverarbeitenden KMU-Betrieben bei Einzel- und Kleinserienfertigung: Eine Differenzanalyse aus Theorie und Praxis“. Bachelor’s thesis, FH JOANNEUM, 2016. Heck, Melanie. „Bildung 2.0 Taxonomie nach Benjamin Bloom Stellung der Kompetenzentwicklung in Österreich“. Bachelor’s thesis, FH JOANNEUM, 2016. Helfenschneider, Sabrina. „Partielles Reengineering des Montageprozesses von Elektro-Warmwasserspeichern am Beispiel der Austria Email AG“. Bachelor’s thesis, FH JOANNEUM, 2016. Herold, Stefan. „Traceability: Die qualitativen und wirtschaftlichen Auswirkungen einer Rückverfolgbarkeit von mehrschichtigen Bauelementen in der Produktion“. Bachelor’s thesis, FH JOANNEUM, 2016. Heschl, Daniela. „Erfolgsfaktor Business Communication: Performancegespräch als Managementinstrument in der Praxis“. Bachelor’s thesis, FH JOANNEUM, 2016. Hirsch, Andreas. „Ressourcenoptimierung durch den Einsatz von Projektportfolio-Management unter besonderer Berücksichtigung des Faktors „Mensch““. Bachelor’s thesis, FH JOANNEUM, 2016. Hofer, Wolfgang. „Integration einer neuen Komponente in das Produktionsprogramm eines Contract Manufacturers aus Sicht der Logistik: (Am Beispiel der Magna Steyr Heilbronn)“. Bachelor’s thesis, FH JOANNEUM, 2016. Höfler, Stefan. „Efficient Drivetrain 2.0: Entwicklung eines elektrischen Antriebsstrangkonzepts für eine Zerkleinerungsmaschine“. Bachelor’s thesis, FH JOANNEUM, 2016. Holler, Thomas. „Die Umsetzung von Industrie 4.0 in Produktionsbetrieben mit Hilfe von fahrerlosen Transportsystemen“. Bachelor’s thesis, FH JOANNEUM, 2016. Hollmann, Alexander. „Prozessoptimierung durch Einkaufsportale in der Industrie“. Bachelor’s thesis, FH JOANNEUM, 2016. Kaltenbrunner, Katharina. „Personalmanagement: Ansätze und Methoden der Personalbeschaffung“. Bachelor’s thesis, FH JOANNEUM, 2016. Karacsony, Manuela. „Marketingbezogene Abweichungsanalysen in Industriebetrieben am Beispiel des Marktsegments Öl & Gas“. Bachelor’s thesis, FH JOANNEUM, 2016. Kasalo, Miroslav. „HMI Trend und Potentiale in Industrie 4.0“. Bachelor’s thesis, FH JOANNEUM, 2016. Kaufmann, Larissa. „Produktionsoptimierung anhand ausgewählter Methoden des Lean Managements in der Papierindustrie mit besonderem Fokus auf die Firma Sappi“. Bachelor’s thesis, FH JOANNEUM, 2016. Knapp, Gabriel. „In-Memory Datenbanken: Technologische Entwicklungen am Beispiel SAP HANA“. Bachelor’s thesis, FH JOANNEUM, 2016. Köck, Christopher. „Methoden zur Erhebung von Prozessen als Grundlage für die effiziente Prozessgestaltung in Unternehmen“. Bachelor’s thesis, FH JOANNEUM, 2016. Kracher, Hannes. „Erfolgsfaktoren für die Einführung eines Dokumentenmanagementsystems“. Bachelor’s thesis, FH JOANNEUM, 2016. Krainer, Gottfried. „Leitfaden zur normkonformen Einführung eines fahrerlosen Transportsystems (FTS) bei Magna Steyr Graz“. Bachelor’s thesis, FH JOANNEUM, 2016. Krammer, Sigrid. „Kooperative Führung in einem internationalen Industriebetrieb“. Bachelor’s thesis, FH JOANNEUM, 2016. Krasser, Barbara. „E-Invoicing: Differenzanalyse der elektronischen Rechnungslegung mit Hilfe von SAP anhand der Paulaner Brauerei GmbH & Co. KG“. Bachelor’s thesis, FH JOANNEUM, 2016. Laglbauer, Patricia. „Nachhaltiges Datenmanagement zur Effizienzsteigerung eines Unternehmens am Praxisbeispiel SAP HANA Studio“. Bachelor’s thesis, FH JOANNEUM, 2016. Lenhard, Christopher. „Erstellung eines Multi-Channel-Marketing- und Vertriebskonzepts für den berufsbegleitenden Hochschullehrgang "International Supply Management"“. Bachelor’s thesis, FH JOANNEUM, 2016. Leuchtenmüller, Sarah. „Ansätze für die Optimierung des Reportings“. Bachelor’s thesis, FH JOANNEUM, 2016. Luznik, Lukas. „Waste reduction in the assembly line“. Bachelor’s thesis, FH JOANNEUM, 2016. Mader, Christian. „Fertigungsbegleitende Werkerselbstkontrolle: Fehlererkennung und Kostenoptimierung durch definiert effiziente Qualitätsprüfung am Arbeitsplatz“. Bachelor’s thesis, FH JOANNEUM, 2016. Martin, Bernhart. „Vom 3D-Scan zum 3D-Druck - Aufbau und Kalibrierung des Rubicon 3D-Scanners“. Bachelor’s thesis, FH JOANNEUM, 2016. Meister, Carina. „Werbung in der Lebensmittel Industrie: am Beispiel Brot“. Bachelor’s thesis, FH JOANNEUM, 2016. Meßner, Marco. „Forecast: Ein Instrument zur Unternehmenssteuerung“. Bachelor’s thesis, FH JOANNEUM, 2016. Moik, Nina. „Konsolidierungsaufgaben im Group Reporting“. Bachelor’s thesis, FH JOANNEUM, 2016. Moosbrugger, Werner. „Verkauf von gebrauchten Holzbearbeitungsmaschinen im aktiven Veredelungsgeschäft in Osteuropa“. Bachelor’s thesis, FH JOANNEUM, 2016. Muhrer, Florian. „Ausschreibungen in der Logistik“. Bachelor’s thesis, FH JOANNEUM, 2016. Neubauer, Eva. „Ausgewählte didaktische Methoden zur Vermittlung technischer Inhalte an Fachhochschulen“. Bachelor’s thesis, FH JOANNEUM, 2016. Ortner, Christina. „Mitarbeiterqualifizierung und -unterweisung: Vorgehensweise bei Arbeitsanweisungen“. Bachelor’s thesis, FH JOANNEUM, 2016. Ostermann, Frank. „Cloudworking im Kontext mit Industrie 4.0: Potentialerhebung am Beispiel österreichischer Industriebetriebe“. Bachelor’s thesis, FH JOANNEUM, 2016. Oswald, Stefan. „Academic Entrepreneurship Education: Aufgaben und Herausforderungen einer Unternehmensneugründung zukünftiger Alumni am Studiengang Industriewirtschaft“. Bachelor’s thesis, FH JOANNEUM, 2016. Pagger, Matthäus. „Differenzanalyse eines Cost Break Downs: Verbesserungspotentiale zur Erhöhung der Kostentransparenz“. Bachelor’s thesis, FH JOANNEUM, 2016. Pichler, Thorsten. „Kommunikation in Veränderungsprozessen“. Bachelor’s thesis, FH JOANNEUM, 2016. Pinkas, Judith. „Potentiale durch die Anwendung von Lean Management im klassischen Projektmanagement“. Bachelor’s thesis, FH JOANNEUM, 2016. Plentner, Corinna. „Wertstromanalyse der gesamten Supply Chain am Unternehmensbeispiel LOGICDATA Electronic und Software Entwicklungs GmbH“. Bachelor’s thesis, FH JOANNEUM, 2016. Ramusch, Oliver. „Implementierung eines SRM-Systems von Pool4Tool in einem Stahlunternehmen“. Bachelor’s thesis, FH JOANNEUM, 2016. Reinwald, Martin. „Werkzeuge zur Optimierung der Lieferkette einer Kleinserien Produktion“. Bachelor’s thesis, FH JOANNEUM, 2016. Reiter, Richard. „Horizontale und vertikale Personalentwicklung“. Bachelor’s thesis, FH JOANNEUM, 2016. Rihs, Nikol. „Prozesserhebung am Beispiel der innerbetrieblichen Warenanlieferung bei Eaton Industries (Austria) GmbH“. Bachelor’s thesis, FH JOANNEUM, 2016. Rinder, Christian. „Kommunikation zwischen ERP-Systemen und MES am Beispiel SAP“. Bachelor’s thesis, FH JOANNEUM, 2016. Rosenmaier, Armin. „Die Zerspanungstechnik im Spannungsfeld der Industrie 4.0“. Bachelor’s thesis, FH JOANNEUM, 2016. Rosskogler, Claudia. „Technologietrends in der Logistik auf dem Prüfstand: Nutzenpotential in der Lebensmittel- und Metallbranche“. Bachelor’s thesis, FH JOANNEUM, 2016. Schaffer, Bernhard. „Virtuelles Management - Herausforderungen der Kommunikation und Führung von virtuellen und interkulturellen Teams in der Ära von Konnektivität und Digitalisierung“. Bachelor’s thesis, FH JOANNEUM, 2016. Schaffer-Hassmann, Herbert. „Leadership 4.0: Mitarbeiterführung in Zeiten der Digitalisierung“. Bachelor’s thesis, FH JOANNEUM, 2016. Schelling, Nicole. 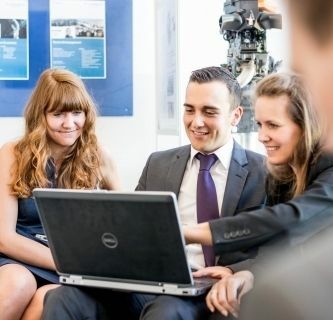 „Internationale Bewertungsverfahren: OPEX-Assessment - Ein Beispiel aus der Abteilung Operations Excellence bei Voith Industrial Services GmbH“. Bachelor’s thesis, FH JOANNEUM, 2016. Schneeberger, Thomas. „Aufbereitung der Übung "Zahnradpumpe" aus dem IE-Labor“. Bachelor’s thesis, FH JOANNEUM, 2016. Schwaiger, Richard. „Aufbereitung der Laborübung "Stirnradgetriebe" - ein Methodenvergleich“. Bachelor’s thesis, FH JOANNEUM, 2016. Seebacher, Manfred. „Ansätze zur Optimierung der Wirtschaftlichkeit eines luftfahrttechnischen Betriebes im öffentlichen Sektor“. Bachelor’s thesis, FH JOANNEUM, 2016. Siebenhofer, Markus. „Schlüsselkompetenzen im betrieblichen Kontext“. Bachelor’s thesis, FH JOANNEUM, 2016. Sipic, Admir. „Ermittlung der Kundenbedürfnisse im Anlagenbau durch Zufriedenheitsmessung“. Bachelor’s thesis, FH JOANNEUM, 2016. Steibl, Stefan. „The Adjustment of Leadership to Millennials: Challenges of Leadership in the 21st Century“. Bachelor’s thesis, FH JOANNEUM, 2016. Steinberger, Malina. „Arbeitssicherheit in einem Holzindustriebetrieb“. Bachelor’s thesis, FH JOANNEUM, 2016. Steininger, Johannes. „Füge- und Verbindungstechniken in der Automobilindustrie“. Bachelor’s thesis, FH JOANNEUM, 2016. Stern, Thomas. „Moderne vs. traditionelle Kostenrechnungssysteme in Industrieunternehmen: Vor-/Nachteile eine Differenzanalyse“. Bachelor’s thesis, FH JOANNEUM, 2016. Stoll, Christian. „Optimierung des 3D-Modells durch Softwareeinstellungen für den 3D-Druck - Erstellung eines Handbuches für den Rubicon 3D-Scanner“. Bachelor’s thesis, FH JOANNEUM, 2016. Stonitsch, Christian. „Arbeitsvorbereitung 4.0: Daten, Prozesse und Strukturen im modernen Produktionsumfeld“. Bachelor’s thesis, FH JOANNEUM, 2016. Stubenschrott, Birgit. „Instrumente zur Kundenzufriedenheitsmessung am Beispiel von Ennstal Milch KG“. Bachelor’s thesis, FH JOANNEUM, 2016. Trattner, Christian. „Anwendungsbereiche von RFID im Umfeld der Industrie 4.0“. Bachelor’s thesis, FH JOANNEUM, 2016. Ulrich, Patrik. „Entwicklung von Kompetenzen durch Trainee-Programme“. Bachelor’s thesis, FH JOANNEUM, 2016. Weiß, Silvio. „Anforderungen an das Projektcontrolling durch den Einfluss der Scrum Methode“. Bachelor’s thesis, FH JOANNEUM, 2016. Anhofer, Jörg-Hubert. „Chancen des Visualisierungs- und Vernetzungstrends in der Instandhaltung“. Bachelor’s thesis, FH JOANNEUM, 2015. Artner, Clemens. „Nutzen des Frameworks COBIT 5: Ein Vergleich mit anderen Standards und einem (Praxis-)Leitfaden“. Bachelor’s thesis, FH JOANNEUM, 2015. Baumgartner, Julia. „Kritische Erfolgsfaktoren im Omni-Channel E-Commerce“. Bachelor’s thesis, FH JOANNEUM, 2015. Beck, Raphael. „Entwicklung eines Kennzahlensystems zur Bewertung der mechanisch-technologischen Prüfung von Edelstahlerzeugnissen“. Bachelor’s thesis, FH JOANNEUM, 2015. Benischek, Lisa. „Produktionssteuerung in Make-to-order Unternehmen“. Bachelor’s thesis, FH JOANNEUM, 2015. Bernhart, Martin. „Prüfung industrieller Montierbarkeit in der Automobilbranche“. Bachelor’s thesis, FH JOANNEUM, 2015. Eberl, Patrick. „Bewertungsverfahren zur Auswahl eines Tools zur Durchführung von Umfragen im Service-Engineering“. Bachelor’s thesis, FH JOANNEUM, 2015. Eisenberger, Mona. „Budgetierung am Beispiel der AVL List GmbH“. Bachelor’s thesis, FH JOANNEUM, 2015. Elser, Klaus. „Informationsbeschaffungsverhalten potentieller Studienanfänger - Eine empirische Untersuchung“. Bachelor’s thesis, FH JOANNEUM, 2015. Ettl, Christian. „Nachhaltige Strategien zur Prozessoptimierung“. Bachelor’s thesis, FH JOANNEUM, 2015. Feldbaumer, Kristina. „Analyse einer vorhandenen Dokumentenstruktur zur Vorbereitung einer ISO-Zertifizierung“. Bachelor’s thesis, FH JOANNEUM, 2015. Fischer, Clemens. „Logistikoptimierung für KMU - Methoden und Werkzeuge zur Optimierung von Logistikprozessen in KMU“. Bachelor’s thesis, FH JOANNEUM, 2015. Fraiß, Thomas. „Implementierung einer Prozesskostenrechnung in einem Bergbaubetrieb im Allgemeinen sowie die Auswirkung von geplanten Investitionen auf die Prozesskosten auf die heterogenen Produkte im Speziellen“. Bachelor’s thesis, FH JOANNEUM, 2015. Fuchs, Miriam. „Analyse und Verbesserungsmöglichkeiten in der Förder- und Regeltechnik der österreichischen Erdgasindustrie“. Bachelor’s thesis, FH JOANNEUM, 2015. Führer, Michaela. „Die Versandorganisation: Ein Theorie-Praxis-Vergleich am Beispiel der Sappi Stockstadt GmbH“. Bachelor’s thesis, FH JOANNEUM, 2015. Gmoser, Michelle. „Scent Marketing- Die olfaktorische Wahrnehmung als Instrument für die Beeinflussung des Kaufverhaltens am Verkaufsort“. Bachelor’s thesis, FH JOANNEUM, 2015. Goian, Alexandru. „Ermittlung von kritischen Erfolgsfaktoren beim Implementierungsprozess eines ERP-Systems in einem Kleinunternehmen am Beispiel des Unternehmens Waxed Floors“. Bachelor’s thesis, FH JOANNEUM, 2015. Grabner, Alexander. „Vergleich der Analyse von Shareholder Value Kennzahlen zur strategischen Unternehmensführung“. Bachelor’s thesis, FH JOANNEUM, 2015. Gruber, Micha. „Betriebswirtschaftliche Herausforderungen österreichischer Stromunternehmen“. Bachelor’s thesis, FH JOANNEUM, 2015. Guggi, Martin. „Working-Capital-Management für Klein- und Mittelunternehmen - Steigerung der Liquidität für Klein- und Mittelunternehmen durch den Einsatz von Methoden des Working Capital Management“. Bachelor’s thesis, FH JOANNEUM, 2015. Hackenberg, Laura. „Neuromarketing im B2B-Bereich - Übertragung der Erkenntnisse auf die Werbung - Analyse und kritischer Vergleich“. Bachelor’s thesis, FH JOANNEUM, 2015. Halilcevic, Adela. „Entwicklung eines Reifegradmodells in der Produktionslogistik“. Bachelor’s thesis, FH JOANNEUM, 2015. Heck, Melanie. „Kapazitätsauslagerung in der Elektroindustrie, Entwicklung eines Tools zur Evaluierung der Auslagerunstauglichkeit“. Bachelor’s thesis, FH JOANNEUM, 2015. Hirschenberger, Stefan. „Gegenüberstellung von Sensor/Aktor-Kommunikation bei Lego® Mindstorms und Profibus“. Bachelor’s thesis, FH JOANNEUM, 2015. Holler, Thomas. „Mitarbeitermotivation in mehrjährigen Projekten“. Bachelor’s thesis, FH JOANNEUM, 2015. Huber, Fabian. „Working Capital Management zur Sicherstellung der Liquidität des Unternehmens“. Bachelor’s thesis, FH JOANNEUM, 2015. Jenewein, Vera. „Nutzen der Solarzellen in Photovoltaikanlagen“. Bachelor’s thesis, FH JOANNEUM, 2015. Kahriman, Eldin. „Auswirkung von Industrie 4.0 auf die Instandhaltung und deren Prozesse“. Bachelor’s thesis, FH JOANNEUM, 2015. Kaiser, Manuel. „Industrie 4.0 - Cyber-physische Systeme in der Produktion“. Bachelor’s thesis, FH JOANNEUM, 2015. Kaltenbrunner, Katharina. „Ist eine Kostenrechnung ein sinnvolles Controllinginstrument? - Eine empirische Erhebung.“. Bachelor’s thesis, FH JOANNEUM, 2015. Kapper, Petra. „Zeitgemäße IT-Architektur vor dem Hintergrund von Big Data“. Bachelor’s thesis, FH JOANNEUM, 2015. Kasalo, Miroslav. „Entwicklung einer logisitkorientierten Wertstromanalyse für die Durchlaufzeit-Optimierung in der Stahlindustrie“. Bachelor’s thesis, FH JOANNEUM, 2015. Kaufmann, Larissa. „Die Wertstromanalyse am Beispiel der Firma Sappi Holding GmbH in Gratkorn zur Reduzierung der Arbeitsbelastung“. Bachelor’s thesis, FH JOANNEUM, 2015. Knapp, Gabriel. „Erstellung eines Modells zur Tarifkalkulation von IT-Services eines internationalen Unternhemens“. Bachelor’s thesis, FH JOANNEUM, 2015. Kogleck, Rico. „Ausgestaltung und Optimierung der Kostenrechnung - Abweichungsanalyse zwischen Literatur und Praxis der Kostenrechnung in der Flugzeugproduktion“. Bachelor’s thesis, FH JOANNEUM, 2015. Kracher, Hannes. „Optimierungspotentiale bei bestehenden Wholesale - Intralogisitkanlagen in der Pharmabranche“. Bachelor’s thesis, FH JOANNEUM, 2015. Krainer, Gottfried. „Modellierung von FTS Prozessen anhand einer EPK für Magna Steyr“. Bachelor’s thesis, FH JOANNEUM, 2015. Krammer, Evelyne. „Ursachen und Früherkennungsmaßnahmen österreichischer Unternehmensinsolvenzen“. Bachelor’s thesis, FH JOANNEUM, 2015. Krammer, Sigrid. „Auswahl geeigneter Erhebungsmethoden im betrieblichen Umfeld“. Bachelor’s thesis, FH JOANNEUM, 2015. Kreil, Michael. „OPC-Unified Architecture als Werkzeug der vertikalen Integration“. Bachelor’s thesis, FH JOANNEUM, 2015. Lankmaier, Lisa Anna. „Wasted Food: Strategien zur Vermeidung der Lerbensmittelverschwendung im Handel“. Bachelor’s thesis, FH JOANNEUM, 2015. Leister, Markus. „Analyse strategischer und operativer Einkaufsprozesse im Racing und Serienbereich“. Bachelor’s thesis, FH JOANNEUM, 2015. Lenhard, Christopher. „Konzeption einer Vorkalkulation für die Angebotslegung - Dargestellt am Beispiel des pharmazeutischen Anglagenbaus“. Bachelor’s thesis, FH JOANNEUM, 2015. Mazilo, Harald. „Erstellung einer Matrix zur Auswahl von Software zur Prozessmodellierung“. Bachelor’s thesis, FH JOANNEUM, 2015. Meßner, Marco. „Lean Management: Actions for Process Optimization at Hoerbiger Corp. America“. Bachelor’s thesis, FH JOANNEUM, 2015. Möstl, Angel. „Langfristige Personalbindung zur Vermeidung ungewollter Fluktuation“. Bachelor’s thesis, FH JOANNEUM, 2015. Mühlthaler, Carina. „Kompetenzorientierung in der Personalentwicklung“. Bachelor’s thesis, FH JOANNEUM, 2015. Neubauer, Eva. „Der Einfluss von Gender Diversität im Management auf die Ergebnisse österreichischer Aktiengesellschaften“. Bachelor’s thesis, FH JOANNEUM, 2015. Ostermann, Frank. „Entwicklung eines optimierten Prozessmodells für das Aftersalesgeschäft eines Automobilherstellers“. Bachelor’s thesis, FH JOANNEUM, 2015. Patterer, Larissa. „Erfolgsfaktoren der Region Obersteiermark Ost als zukünftiger Industriestandort“. Bachelor’s thesis, FH JOANNEUM, 2015. Peheim, Joachim. „Der Einfluss von Industrie 4.0 auf die Kosten des Prozesses der Kommissionierkontrolle“. Bachelor’s thesis, FH JOANNEUM, 2015. Pichler, Philip. „"On the road again?" Eine Untersuchung zum Einsatz des Gigaliners in Österreich“. Bachelor’s thesis, FH JOANNEUM, 2015. Pinkas, Judith. „Rekonstruierungs-Management: Vorgehensweise einer Standortrekonstruierung eines internationalen Unternehmens“. Bachelor’s thesis, FH JOANNEUM, 2015. Prim, Clemens. „Alternative Antriebssysteme für Kraftfahrzeuge - Notwendige Konzepte und Technologien zur Marktdurchdringung“. Bachelor’s thesis, FH JOANNEUM, 2015. Puntigam, Markus. „Crowdfunding. Auswirkungen auf den Businessplan, Chancen und Risiken für Startups“. Bachelor’s thesis, FH JOANNEUM, 2015. Rinder, Christian. „Analyse österreichischer Unternehmen im Hinblick auf Green Supply Chain Management“. Bachelor’s thesis, FH JOANNEUM, 2015. Rosenmaier, Armin. „Auswahlverfahren zur Ermittlung der passenden Funktionalitäten einer Manufacturing Execution Systems“. Bachelor’s thesis, FH JOANNEUM, 2015. Rosskogler, Claudia. „Optimierung einer Engpassanlage am realen Beispiel der Beizanlage für Walzdraht und gezogene Drähte“. Bachelor’s thesis, FH JOANNEUM, 2015. Schaffer, Bernhard. „Strukturelle Einführung des Produktionsmoduls eines ERP-Systems“. Bachelor’s thesis, FH JOANNEUM, 2015. Schaffer, Jennifer. „Die Balanced Scorecard als flexibles Management-Instrument - Möglichkeiten und Grenzen von konzeptionellen Erweiterungen“. Bachelor’s thesis, FH JOANNEUM, 2015. Schlager, Sabrina. „Die Belastung der Verkehrsinfrastruktur durch Lastkraftwagen“. Bachelor’s thesis, FH JOANNEUM, 2015. Schneeberger, Thomas. „Aufbau von Lean Management Mehoden in einem marktführenden Produktionsbetrieb zur Herstellung von Fenster- und Türbeschlägen“. Bachelor’s thesis, FH JOANNEUM, 2015. Schober, Mario. „Condition based Monitoring aus dem Blickwinkel von I 4.0“. Bachelor’s thesis, FH JOANNEUM, 2015. Schöggl, Daniel. „Eigenproduktion statt Import - Ein Ansatz zur Arbeitsplatzschaffung in Österreich“. Bachelor’s thesis, FH JOANNEUM, 2015. Schöggl, Gernot. „Qualitätskosten - Management im Kontext zu Industrie 4.0“. Bachelor’s thesis, FH JOANNEUM, 2015. Schwaiger, Richard. „Investitionsverhalten von Klein- und Mittelunternehmen in der Sparte Maschinenbau im Rahmen der Wirtschaftskrise - eine empirische Erhebung“. Bachelor’s thesis, FH JOANNEUM, 2015. Siebenhofer, Markus. „Auswirkungen des demographischen Wandels auf Unternehmen der Mur-/Mürzfurche und mögliche Maßnahmen zur Sicherung der Wettbewerbsfähigkeit“. Bachelor’s thesis, FH JOANNEUM, 2015. Steger, Josua. „Einfluss des Baukastenprinzips auf die Ersatzteilversorung in der Automobilindustrie - Handlungsempfehlung für den After Sales“. Bachelor’s thesis, FH JOANNEUM, 2015. Steibl, Stefan. „Möglichkeitsstudie zur Implementierung eines Lagersystems zur Rundstahllagerung bei Hoerbiger Corporation of America“. Bachelor’s thesis, FH JOANNEUM, 2015. Steininger, Johannes. „Advanced Product Quality Planning: zur Steigerung der Produktqualität“. Bachelor’s thesis, FH JOANNEUM, 2015. Stern, Thomas. „Bedarfs- und Kapazitätsmanagement: Abstimmung der Lieferkapazitäten mit den Bedarfen des Herstellers“. Bachelor’s thesis, FH JOANNEUM, 2015. Stoll, Christian. „Zeitgemäßes Controlling mit modernen Management-Informations-Systemen“. Bachelor’s thesis, FH JOANNEUM, 2015. Thaler, Lukas. „IT-Sicherheit als Grundlage für die Umsetzung von Industrie 4.0“. Bachelor’s thesis, FH JOANNEUM, 2015. Trattner, Christian. „Methoden zur Förderung der Selbstqualifizierungskompetenz im Bereich der Schienenfahrzeuginstandhaltung“. Bachelor’s thesis, FH JOANNEUM, 2015. Ulrich, Patrik. „Analyse der Wettbewerbsfähigkeit Österreichs im Vergleich mit der Schweiz“. Bachelor’s thesis, FH JOANNEUM, 2015.
unter besonderer Berücksichtigung von Engpässen“. Bachelor’s thesis, FH JOANNEUM, 2015. Untergrabner, Thomas. „Anwendung integrierter Planungssysteme am Beispiel eines internationalen Ölkonzerns“. Bachelor’s thesis, FH JOANNEUM, 2015. Walter, Florian. „Konstruktionsweise einer Kleinwindtubine - Materialauswahl des Mantels im Hinblick auf den Betrieb um den Anforderungen an die Konstruktion gerecht zu werden“. Bachelor’s thesis, FH JOANNEUM, 2015. Wastl, Katja. „Entwicklung von Personalbindungsstrategien durch die Brauunion Österreich“. Bachelor’s thesis, FH JOANNEUM, 2015. Weinhandl, Felix. „Verschwendung im innerbetrieblichen Materialfluss von Stein- und Schotternunternehmen“. Bachelor’s thesis, FH JOANNEUM, 2015. Weiß, Silvio. „Implementierung einer Projektcontrolling Software anhand des Wasserfallmodells“. Bachelor’s thesis, FH JOANNEUM, 2015. Weltin, Marco. „Industrie 4.0 - DieEntwicklung eines Vorgehensmodells zur Implementierung von Industrie 4.0 in österreichischen KMU´s“. Bachelor’s thesis, FH JOANNEUM, 2015. Willingshofer, Mathias. „Handlungsempfehlung zur Erstellung eines Qualitätsmanagement-Handbuches für eine Unternehmensgruppe - Zugrundeliegende Normengruppe: ISO 9000“. Bachelor’s thesis, FH JOANNEUM, 2015. Wurster, Nora. „Controlling unter Industrie 4.0“. Bachelor’s thesis, FH JOANNEUM, 2015. 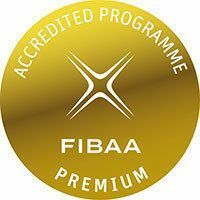 The Master's degree programmes in International Industrial Management is FIBAA PREMIUM accredited since 2016. The manufacturing industry is currently undergoing a digital revolution we call Industry 4.0, or smart production. The Industry 4.0 focus at the Institute of Industrial Management prepares students for the industry of the future which will increasingly rely on interactive environments. Industry 4.0 is expected to bring greater efficiency, flexibility and new (digital) business models. Service engineering is designed to strengthen regional competitiveness by allowing businesses with distinctive, hybrid products – product-service systems – to generate greater revenues and profits. At the heart of the laboratory is a production facility designed for teaching and learning and for testing future production techniques and methods. It involves the use of Festo MPS® stations (modular production systems), and a modular factory system (MFS).